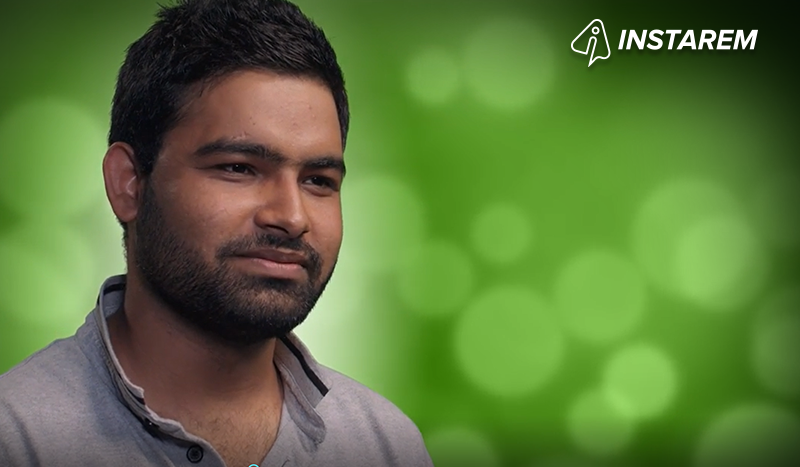 Push notifications, 24 x 7 support and a sense of security help 28-year-old IT engineer Gourav, remain the helping hand for his family in Punjab, thanks to InstaReM. Back home I have my father, mother and my younger brother. How often do you send money to India? I send money back home every three months or sometimes twice in a quarter. It all depends upon need. What are the reasons you send money back to India? There are a few reasons. First of all for financial help. My father is retired, mum is a homemaker and for them money is a basic necessity and they need it on a daily basis and I’m the only source of income for my family. I’m my parents’ helping hand at home. They’re been my helping hand and now I’m theirs.Sometimes also medical issues arise. For example my aunt recently had cancer, and I need to support her as well. My aunt doesn’t have children, my father usually has to support her so since I’m his helping hand, I’m the helping hand for my aunt too. We also bought a house recently, so I sent money home to be utilised for that. I found out InstaReM from a very close friend who actually told me that InstaRem was new in the market. I thought let’s give a try, so I tried InstaRem twice and I felt secure. What do you like about using InstaReM? My money’s safe the turnaround time is great, there are no transaction fees and I also find the support which is 24 / 7, is really good. InstaReM also keeps me informed on what’s happening with my money and that’s really cool. So if something is happening in India on public holidays, for example if banks are closed tomorrow you’ll get a notification today saying the banks are on holidays tomorrow and your transaction will be delayed. So I’m always aware of what is happening with my transaction. What’s your favourite thing about InstaReM? One of the best things about InstaReM is they have referral points. I have advantages if I refer someone, I get some money, for example if you’re referring someone you’ll get some rewards points which is cool, that for each and every transaction you’re getting something extra. That’s always a good promotion. If you had to describe InstaReM in three words, what would you say? If I had to describe InstaRem in three words I would say fast, secure and safe.